Digital printing is getting more and more popular, therefore we are happy to propose you many lenticular products to use with your digital printing device. Even more: the last one is the Digital Primed Lens for HP Indigo ! Most importantly,more and more printing companies are using large format flatbed printers. For this reason we recently published this video: https://youtu.be/oEKqXFAkksk showing how it works. The resolution is getting higher and the dot size smaller and therefore brings more interest for lenticular printing. Also people who are not using a flatbed printer will be highly interested in our new Crystal Clear Mount Double Side Adhesive Film. 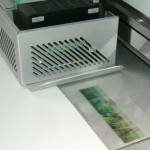 Which Flatbed printer can be used for lenticular? Click here. If you need a product or a size that is not listed, just let us know. Don’t hesitate to contact us if you need other products. 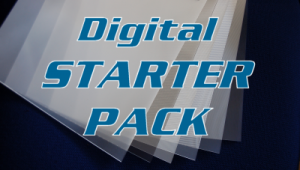 We are trying to find the best service and the best location to store and ship lenticular sheets in small quantities. Therefore, our partners are working hard to get the goods ready in the best timing and we thank them for their commitment. You can check our products pages to find the products we are proposing in full pallets. We are not allowed to break a pallet in a custom warehouse (Antwerp), therefore we are supplying lenticular sheets in small quantities from Ireland or from Barcelona. We could experience that, for a large part of our small quantities customers, the transport is much cheaper and faster than from Austria. This why customers are very happy with this! Large Format: The 3D 28 LPI UV-MF™, 3D 20 LPI UV-LF™ and Motion 20 LPI UV-LF™ are available in 10 sheets boxes from our warehouse in Dublin or in Barcelona, smaller quantities and different sizes are proposed from Ireland. Please note that these transport prices are subject to change. You’ll find QUESTIONS AND ANSWERS about lenticular by clicking here. If you need a product or a size that is not listed, just let us know. Don’t hesitate to contact us if you have any question.